Calling me a Luddite would be kind. I was late to computers, late to cellphones, late to Facebook. MySpace passed me by completely, and I texted for the first time this past April. Venturing into the blogosphere, as I’m told it’s called, is probably a choice I shouldn’t even consider. Yet, I’m making a leap into the virtual unknown because I see a need. To my knowledge, no other Jacksonian (or Early Republic) historian has a professional blog devoted to the period. (If there is someone out there, let me know so I can retreat to my mountain hovel while the modern world passes me by.) This absence is disappointing, especially given the efforts made by Civil War historians, such as Kevin Levin, Vikki Bynum, and others to engage not only scholars interested in their era of research but also the general public. The Early Republic, defined by the Society for Historians of the Early American Republic (SHEAR) as encompassing the years 1776-1861, allows us to make sense of the Civil War, but it deserves study for its own reasons. It was the era during which the United States was founded and many of its political and legal principles established. It was the era during which groups such as women, African Americans, Native Americans, and immigrants found themselves marginalized and forced to fight for rights and privileges within the constraints of a republic of privileged white men. It was the childhood and adolescent years of the United States, and the growing pains showed in a multitude of ways. I took the name of this blog from Edward Pessen’s 1969 book of the same title. As an undergraduate, one of my history professors assigned Pessen’s book, as well as Robert V. Remini’s one-volume edition of his magisterial biography of Jackson, in the university’s Jacksonian Democracy course. The choice was deliberate; as students, we would have gotten a skewed view of Jackson and the period without the counterbalancing of Pessen’s pessimism and Remini’s optimism. While I almost certainly will cover topics under the broader definition of the Early Republic, Pessen’s title has a certain brevity, flair, and familiarity to the public that made its choice easy. I can assure you that changes will be forthcoming, so please be patient with me as I struggle with the technology. The look of the blog may appear different; almost certainly, more bells and whistles will be added. Hopefully, however, the content will be engaging and informative, whether one is an historian of the period, a casual and selective reader of blogs, as I was for several years, or simply someone who stumbles over a post that sounds interesting. in your study of 1776-1861, excepting the Barbery pirates of Jefferson’s day? 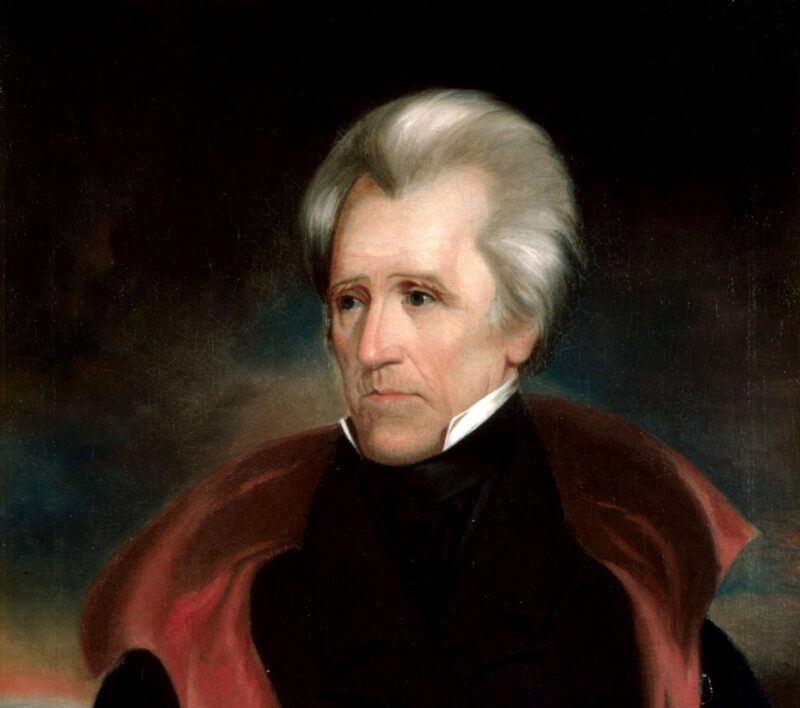 I’m searching for verification of a quote attributed to Jackson. At a banquet immediately/soon following the Battle of New Orleans, he is said to have turned to his Adjutant or Aide-de-Camp (slight confusion as to correct designation at that time), General William White, III, and offered this toast: “If we should have to storm the gates of hell, we will hand General White the keys.” This story has been handed down in my family, but I have no real documentation on it. Do you know anything about it? Thanks. I’ll look this up when I get a free moment this week. I looked through several Jackson biographies (Parton, Bassett, James, and Remini) and found no reference to White at all. I also looked in Google Books and didn’t find the quote. Jackson may have said it, but there doesn’t appear to be a written source to verify. Thanks so much for checking. I have enough records and letters to know that White was part of that battle and had served under Jackson previously. It seems that at the time of that battle he was made Aide-de-Camp for Gen. Carroll. The wording of the toast could be taken two ways, flattering or not. Again, thanks so much for checking. A colleague of mine has some interest in William White. Would it be okay to give him your name and e-mail address? Absolutely. There were several William Whites, but your colleague and I can straighten that out pretty fast, I imagine. My cousins and I are doing lots of research, scanning, cataloging of the information we have, plus information passed along to us by a writer in Hendersonville, TN. Currently we’re trying to raise funds to restore the small White-Ogden family cemetery in east Nashville, where Gen. Wm. White, III is buried. I’d love to hear from your colleague. Rick knows that I enjoy history. I even have a degree in it! I have read a couple of your posts and plan to read more, as time allows. Thanks for writing this type of blog. Blogs like yours are few and far between! Thanks for stopping by. Hopefully, you’ll find my posts interesting. Thanks, Bill. I’ve written a couple of posts about chess that you might enjoy. Welcome to the wonderful yet horrible world of blogging! We hope your stay is a pleasant one. I’m looking forward to reading your thoughts on this period of American history. Godspeed on your new voyage into the blogosphere. Good to meet you in a different venue. Hi Mark! Great job on setting up your blog. I look forward to reading your posts. Before meeting you, I had no idea that Jackson was such an interesting, complex person. Thanks, Heather. Sarah inspired me to get this going.